How far can you go to lawfully protect yourself in a home invasion? Over the weekend, New South Wales police charged a man with murder after an alleged burglar died following an incident in the man’s home in the early hours of Saturday. Conversely, in a separate case, committal proceedings are continuing against two men charged with murder allegedly committed during a home invasion in Western Sydney in 2014. How far can homeowners lawfully go to protect themselves in a home invasion in Australia? Where is the line drawn between self-help and vigilantism? “Home invasion” is a popular rather than legal term. It emerged in the 1990s to describe multiple offenders, carrying weapons, who unlawfully enter a home, intending to rob or injure persons inside. Australia has no specific offence of “home invasion”. Relevant offending is usually prosecuted through offences including robbery/armed robbery, break and enter with intent, burglary/aggravated burglary, and assault. However, two states – South Australia and Western Australia – have laws that deal specifically with the issue of self-defence to home invasion. Additionally, protection against home invasion may involve the occupier performing a citizen’s arrest. In most home-invasion cases, occupiers who discover a person unlawfully in their home will be acting in defence of themselves and their family – as well as protecting their property. Although the laws of self-defence vary across Australia, most laws require in essence that the person believed on reasonable grounds that it was necessary in self-defence to do what they did. And, from their perspective, there must have been reasonable grounds for that belief. South Australia and Western Australia – the two states that have laws specifically dealing with self-defence to home invasion – require that occupants who act in defence of themselves or another, or to protect property against an intruder, must believe on reasonable grounds that it is necessary to do so, but relax requirements of proportionality in the home occupier’s response. The approach generally adopted in Australia differs significantly from the “stand your ground” approach to self-defence that has been influential in the US. “Stand your ground” generally encourages “self-help” by removing any requirement of retreat. It permits a person who is threatened or attacked to stand their ground and claim self-defence even where an avenue of retreat or other means of avoiding the conflict was safely available. It is claimed that these laws originate from the old common-law castle doctrine. This effectively provided that a person attacked in their home could use reasonable force, including fatal force, to protect their life without any duty to retreat from the attacker. But, in reality, these modern laws go far beyond that 17th-century tradition. Their popularity is underpinned by factors that are distinctive to the contemporary US: high levels of gun ownership; a belief in the constitutional right to bear arms; and decreasing public confidence in the ability of law enforcement agencies to protect the community. Approaches to self-defence in Australia still tend to emphasise reasonable necessity and discourage vigilantism. Police advise Australian homeowners against keeping weapons for protection and instruct them to immediately contact police if they suspect an intruder is in their home. Although there are significant differences, laws in each Australian state and territory broadly empower members of the community to make a citizen’s arrest where they find someone committing a crime. Consequently, a person who apprehends an intruder unlawfully inside their house could arrest the wrongdoer and deliver them to police. As a general rule, a person may use “reasonable force” which is not disproportionate to – or unnecessary for – the purpose of the arrest. But if the offender resists, complex issues may arise as to how much force can lawfully be used. Determining how far a person can lawfully go in protecting themselves in a home invasion requires consideration of complex legal issues. It also involves broad matters of social policy. By requiring that a person acting in self-defence or effecting a citizen’s arrest must act genuinely and reasonably, Australian states and territories have developed a distinctive approach that appropriately balances self-defence against vigilantism. 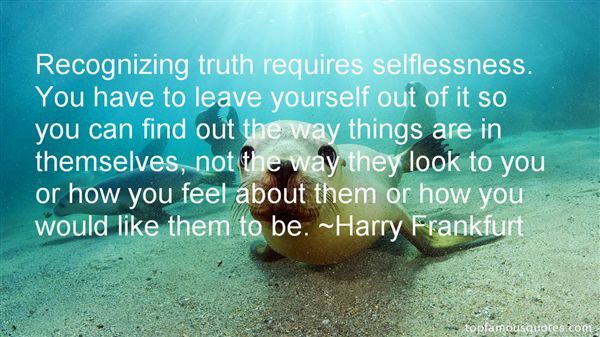 Frankfurt, Harry G. (2006) On Truth. Alfred A.Knopf, New York. Five years ago we launched in Australia a new public-good journalism project. We aimed to replace the increasingly vapid media offerings with a rich new service. Our editors worked to turn the university into a giant Newsroom full of experts who would write with authority borne of deep research and understanding. Able to explain better and make sense. Offering evidence in place of ideology. Able to correct falsehoods with facts. With a total commitment to transparency, high editorial standards and a Charter to deliver a service that is reliable, credible and worthy of your trust. It’s an Australian idea that’s gone global with a Newsroom with 100 staff in Australia, UK, US, France and Africa working with 32,000 researchers and scholars from 1,500 universities and research institutes. With more to come. Our content reaches 3 million users (unique visitors) a month direct to our website while a further 30 million read our copy through the 22,000 websites globally that carry our copy under Creative Commons. This is dissemination of knowledge on a scale never previously achieved. And since we are committed to equitable access to information, we don’t charge. Our information richness is there for all to share. In concert with our global university partners we seek nothing less than a better informed world. Able to share the fruits of research and innovation to offer solutions to the world’s increasingly complex problems. Although we are five years old in Australia (though our other TCs much younger) we’ve barely got started. We’ve got much more planned. But today we salute again our Australian university partners, our strategic partners and you our readers. PS: If you are in Melbourne on the night of April 7 we have reserved 10 tickets for readers to attend our birthday bash. Enter your name here and we’ll let you know if you’re going to the party. ‘In any case, even those who profess to deny the validity or the objective reality of the true-false distinction continue to maintain, without apparent embarrassment, that this denial is a position that they do truly endorse. The statement that they reject the distinction between true and false is, they insist, an unqualified true statement about their beliefs, not a false one. Not only has he offended Muslims, Mexicans, women, the pope, his president, peaceful protesters at his increasingly fascist-style rallies, the residents of Brussels and reasonable opinion in general, he’s gone and ruined one of my favourite TV shows. I’ve followed House of Cards since its launch, relishing the outrageous antics of Frank Underwood as he rose from amoral congressman to deeply evil president. Sometimes the script went over the top, as TV drama tends to, but somehow the suspension of disbelief was maintained. Yes, it was an exaggerated depiction of power politics at its most brutal, and grew more so with each season. But in the era of Obama we could say that at least the reality was a lot more palatable, and enjoy House of Cards for what it was – escapist fiction with an A-list cast and an irreverent dose of political satire. Now, the Netflix original feels too close to reality for comfort, and Kevin Spacey’s monstrous creation like a cautionary tale. Trump hasn’t committed murder, that’s true – although he has incited violence on the part of his supporters, and hinted darkly at “riots” if he is deprived of the GOP nomination, so there’s time yet. But the wilder excesses of his campaign would make Frank Underwood blush. His attack on Ted Cruz’s spouse – albeit a response to publication of a “glamour shot” of the current Trump trophy wife – is the kind of thing Frank Underwood might well have dreamt up in one of his battles against his spouse Claire, or rival Heather Dunbar. It was dirty fighting, and confirmatory of all the stereotypes his critics associate with the Donald. To campaign on the tweeted slogan “I’ll spill the beans on your wife” makes Trump look like the ultimate bogan, an uncivil boor who knows nothing about government and political leadership, but all about lawyers and litigation and how to engage the angry, paranoid, largely white electorate who appear to form the core of his support. It is a new kind of celebrity culture, complete with Trump’s referencing of the National Enquirer as a publication to be trusted when following the campaign. And much more gripping than the Kardashians or any of their ilk because, were the (still, just about) unthinkable to happen and Trump won not only the Republican primaries but the general election in November, the world would become an immeasurably scarier place than it already is. Trump would go from being a figure of fun around the globe to being the most powerful man on earth. This stuff matters. A recent article by L. Gordon Crovitz for the Wall Street Journal analysed the Trump phenomenon through the prism of Daniel Boorstin’s influential 1961 concept of the pseudo-event. Boorstin, argued Crovitz, in his book The Image (which I highly recommend for its continuing relevance to our mediated politics), identified the rise of celebrity as a key criteria of fame and power in itself. Even in the early 1960s, when JFK was in the White House, how someone came over in the media was coming to be regarded as more important than what they did in office. Trump, by this logic, represents the ultimate triumph of the image, the name, the media persona over hard-won knowledge and political wisdom. We know him from The Apprentice, from his many wives and business ventures, many of them failures, from his pursuit of famous women like Princess Diana and English journalist Selina Scott. He’s famous on TV, and he speaks his mind, and that’s enough to become president in 2016. I’m not sure if I agree with this fatalism, though. Trump has sought political power before, including his promotion of the absurd “birther” movement – a lobby group consisting of barely disguised racists who sought to prove that Barack Obama was not born in the US and was not therefore eligible to be its president. He failed then, and should have failed this time too, like Sarah Palin did in 2008. I have the suspicion that he entered the race never expecting to win, but as a promotional strategy for his corporate interests. To his alarm as much as ours, one might speculate, he has so far been unable to scare people off. One explanation is unavoidable – the Republican Party is so starved of credible presidential candidates that Trump was able to shine despite himself. Carson, Rubio, Fiorina and the rest, for all their self-regard, could not convince GOP primary voters to favour them over a man who struggles to craft a coherent sentence, let alone a visionary foreign policy or global leadership strategy worthy of the presidency. A bit like Jeremy Corbyn in the UK, party rules combined with hopelessly weak alternative candidates allowed a marginal outsider to walk in and steal the party from under itself. Let me say at this point that we Scots have to take our share of the blame for this hugely entertaining mess. Not only is his mother Scottish, but the Labour government of my own dear homeland, greedy for the inward investment dollar, deemed it appropriate to name Donald Trump as the country’s GlobalScot business ambassador in 2006. The Scottish National Party endorsed that approach, kissing Trump’s arse for years as he built an exclusive golf course and hotel for the wealthy in pristine Scottish countryside. That all went pear-shaped when Trump and the Scottish government fell out over the former’s [opposition to offshore wind farms, which he claimed would spoil his rich clients’ sea views, though his “ambassadorial” status was not removed until December 2015 when Trump called for the banning of all Muslims from the US. I apologise, friends, from the bottom of my heart, for my compatriots’ role in making Trump the monster he has become. And Australia, don’t forget, has had its Pauline Hanson, and is still embarrassed by its brief flirtation with Clive Palmer as a serious politician. Populists can arise and get a hearing in any democracy, which is both a strength and a weakness of our system. The danger comes when there is a political vacuum into which such figures can pour their bile, and captivate that segment of the citizenry which mistakes dangerous demagoguery for “telling it like it is”. One doesn’t have to be a Democrat to hope that the Trump juggernaut will come to a halt when the general election campaign properly starts. Even many of the GOP elders in Washington, D.C. – Trump’s hated “elites” – seem ready to endorse Hillary Clinton rather than this crude party gatecrasher in their well-heeled corridors of power. Until that moment comes, the world watches events in the US with dropped jaws and wide-open mouths. And it might never come. The US is in uncharted electoral territory, and no-one can predict with certainty where the journey ends. Trump is immensely newsworthy and media-friendly, and his primary success makes him even more so with each winning result. Now he has momentum, and credibility. The GOP voters have spoken, have they not? This might look to the rest of us like US celebrity culture on a really bad acid trip, but it’s also democracy at its finest. Bill Shorten should be praying those pesky crossbenchers give in to Malcolm Turnbull and pass the government’s industrial legislation. Unless they do – and so far there doesn’t seem much prospect – the bad behaviour of some unions, notably the Construction, Forestry, Mining and Energy Union (CFMEU), will be right in the centre of a double-dissolution campaign. That can’t be good for Shorten, who has been weak on the issue. While he insists Labor has zero tolerance for instances of union thuggery and corruption, he tends to minimise the problem. The impression remains that he is too much under the influence of the unions generally and in particular is unwilling to robustly distance himself and his party from the CFMEU, which donates large amounts to the ALP and helped Shorten’s numbers on difficult issues at last year’s ALP national conference. There is not just a matter of perception, but one of substance. Put bluntly, it is disturbing that the CFMEU would be well placed to influence a Shorten government. Shorten should have confronted the excessive power unions have in the ALP’s structure. He should have taken on the CFMEU. He should not have as his workplace relations spokesman Brendan O’Connor, brother of CFMEU national secretary Michael O’Connor. Shorten belatedly put forward the opposition’s own proposals but Labor would be better placed if it had allowed passage of the government’s legislation toughening union governance. This is one of the bills that will be before the recalled Senate. As for the legislation to restore the Australian Building and Construction Commission (ABCC) – also to be considered in the special sitting – the ALP argues it restricts people’s rights and breaches the principle of equality before the law by separating out one sector for special treatment. But Shorten is unlikely to win the debate in the public arena, given what came out of the royal commission into trade unions and the large number of CFMEU officials and delegates now before the courts for industrial breaches. Polling done by Essential published this week found 35% supported reestablishing the ABCC, with 17% opposed, 27% neither supporting nor opposing, and 22% “don’t knows”. In October 2013, 29% supported bringing the ABCC back; 22% opposed. If the crossbenchers passed the bills in coming weeks, Turnbull would have a victory but there would not be a double dissolution, and industrial relations would not be so sharply profiled when the election campaign came. Labor would have more opportunity to find the government’s weaknesses, and to elevate its own issues, especially health and education. Even in a double dissolution triggered by the industrial relations legislation, economic management and tax will be core issues. Turnbull, presumably assuming a double dissolution, has merged the tax package into the budget, now on May 3. This gives what otherwise could be an anorexic budget a centrepiece, and helps with the fact that the tax reform is less ambitious than once hoped. Also, it fits the flagged company tax cut into a broader economic context. A poll done for Sky News underlined what every Coalition backbencher would know – a company tax cut is not something ordinary voters are hanging out for. Asked to choose from a list of what the government’s highest priority should be, 46% said fixing the budget and returning to surplus, 27% nominated spending more on education, 25% said personal income tax cuts and only 3% opted for company tax cuts. This is the Coalition’s third budget. The first deeply soured people’s views of the Abbott government and its treasurer, Joe Hockey, and also heavily circumscribed the framing of the following one. As he struggles with this last budget of the term, the pre-election one, Treasurer Scott Morrison is working against the background of a money tree with few leaves and a relationship with Turnbull that has become poor. His colleagues and his boss will be closely watching how well he does in selling the budget’s tax and other measures. There won’t want to be stuff ups. Politics is a competitive game, and Morrison has a potential rival sitting further along the frontbench. Former Western Australian treasurer Christian Porter gave up state politics to pack his bags for Canberra in 2013. Porter was on track to be premier; his eyes look beyond his present social services ministry. As a member of cabinet’s expenditure review committee, Porter is, in the words of one source, “active without overdoing it”, and some Liberals are already speculating he would be a good treasurer for a re-elected Turnbull government. Morrison is not deputy Liberal leader, a post carrying the right to choose one’s portfolio. His future, if the government is returned, would be totally in the hands of Turnbull, who has already shown a ruthless streak in dealing with ministers – ask Ian Macfarlane, who was dropped. Morrison earned the treasury job because at the time he was seen as a good performer. Potentially, he has to earn that job all over again. Violent Islamist extremism appears to have reached a crisis point in Europe with a “perfect storm” of circumstances, Malcolm Turnbull has said. These were failed or neglected integration, foreign fighters returning from Iraq and Syria, porous borders, and intelligence and security bodies struggling to keep pace with the scope and breadth of the threat. This combination had been described as creating a favourable ecosystem for an Islamist milieu, he said. “For all intents and purposes there are no internal borders in Europe … and their external borders are difficult to manage,” Turnbull told the Lowy Institute on Wednesday night. Recent intelligence indicated that Islamic State “is using the refugee crisis to send its operatives into Europe”. Turnbull contrasted Australia, which was “better placed” than many European countries to deal with the threat “because of the strength of our intelligence and security agencies, our secure borders and our successful multicultural society, one that manages to be both secure and free”. Australia’s national security laws were regarded by its allies as among the world’s best, he said. “The advantage of our island geography, our effective border protection systems and counter-terrorism agencies mean we have confidence that we know who is arriving. Earlier, Turnbull said that while it was impossible to guarantee absolutely against a terrorist incident here, “I can assure Australians that our security system, our border protection, our domestic security arrangements, are much stronger than they are in Europe where regrettably they allowed security to slip”. The scourge of terrorism was a global one, he said. In this fight, Australia was fully committed to playing a leading role in finding political and military solutions in the Middle East, working with our regional counterparts, particularly Indonesia and other ASEAN partners, and continuing to remain vigilant at home. The terrorist attacks in Europe underscored “the importance of our military contribution against ISIL in Syria and Iraq, in which we have been the second largest contributor to the coalition effort. Turnbull said that we must “take care not to view our strategic circumstances solely through the prism of counter terrorism. “Terrorism is an example of the propaganda of the deed – it is designed to frighten and intimidate. It is designed to deter us from our normal way of life. All tetrapods have kneecaps, although it appears that they evolved more than once. Even tuatara have kneecaps (it was long thought they did not). And here’s a kneet biomechanics demonstration of why they are so useful, and what you can and can’t do without them.